Allowing time to reconnect is extremely important. Our family has grown and our children are young adults. While it is magical to watch them grow and navigate their lives, synchronizing schedules is challenging. Over the winter break, we found this time. 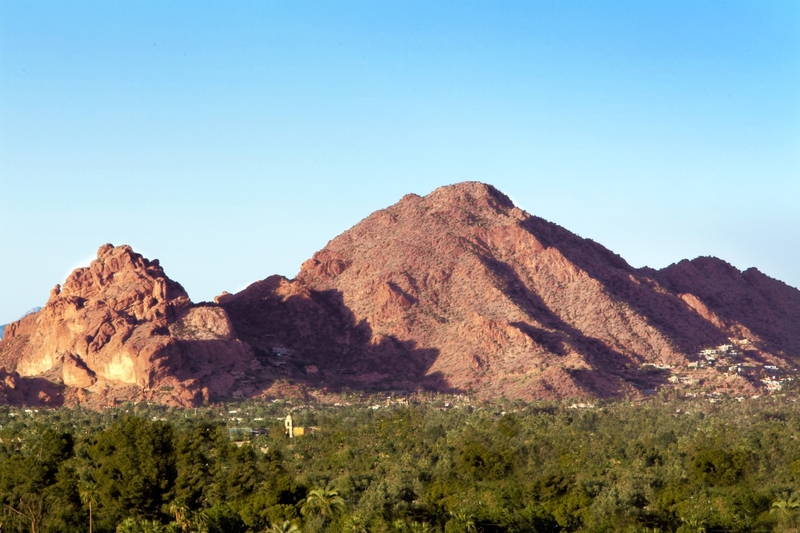 We rented a house on the Camelback Mountain in Phoenix and spent a week together. It was great to reconnect. In the back of the house we rented is a trail that leads up the mountain. About 300 yards or so up the trail is a seat that is carved into the rock. From that seat is a great view of the valley below. The airport to the left. The city to the right. Planes the size of birds, and the reflection of cars and windows from buildings. All miniature looking from the mountain’s view. It made me wonder and reflect. What is the mountain’s perspective of the city? In the mountain’s view, the important work and “to do” lists of its citizens are like the “to do” lists of ants to us. Lots of scurrying in activities without much effect on the mountain. While people come to the mountain to enjoy the view for a moment, they quickly go back to their city lives, jobs and worries. The mountain has the long-term frame of life and savors certain experiences that people in the city usually overlook. The shining sun. A cool breeze. A passing shower. The stability of each rock, plant, tree, cactus and the movement of wildlife. Life is interdependent with the mountain. To the mountain, change and time may pass much less quickly. Perhaps a day to us is like a year to the mountain. What is the perspective of the mountain from the city’s perspective? Most people in the city admire the mountain from time-to-time, but then get too busy to even notice the mountain after a while. Many are busy rushing here or there. Getting things done. Focusing on moving up, paying bills, acquiring more power or money. Worrying about the schools their children will attend. Worrying about their weight, appearance or age. Most of us can’t even see what is in front of us in our own lives. The miracles we barely notice, until they are gone. The people we love, the freedoms we are privileged to have, a sunny day, seasons changing, a great conversation, an engrossing movie, music or art. Maybe it’s time to experience our lives like I imagine the mountain does – appreciate the small things and re-focus on what is more foundational. Maybe that is as simple of following the golden rule. Treating each other like we would treat someone we really love. Slow down. Be grateful. Help each other. Appreciate each moment. Begin to heal and connect to our inner selves. As the Sufi philosopher Rumi, reminds us, “let the beauty we love be what we do”. “You are not a drop in the ocean. You are the entire ocean, in a drop,” he said. Let’s be more like the mountain and gain the timeless perspective of inner peace, fulfillment and love for ourselves and each other. This will give us a healthier, happier and more content life, community, state, country and world.